I love the focused flower and its position which is revealing a story. Thank you, the fence ended up being a more important element than I had originally realized. I thought by including the fence was interesting. I think it helped the fence was a green hue and blended in nicely with the greens. Thank you, I found it visually interest as well. I do like the crop. 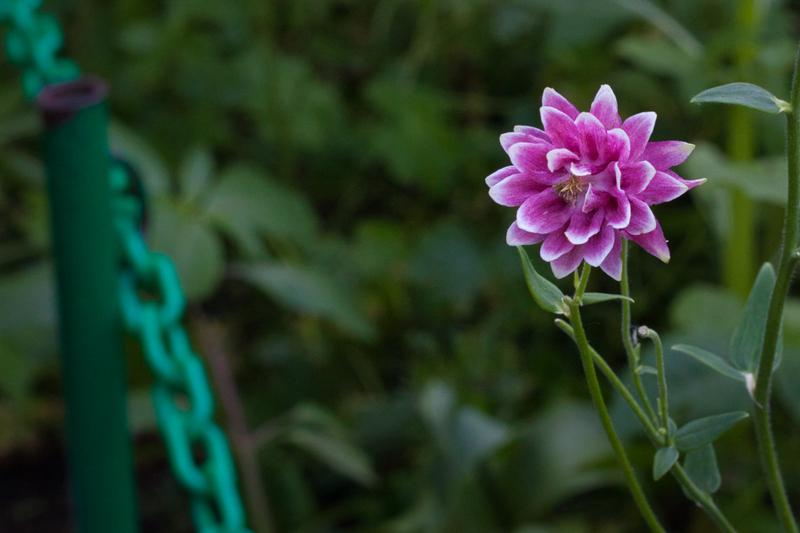 I focused immediately more on BOTH the flower and the chain…. it’s a stand off! Thanks very much, I do think a crop was needed on this photo. I like that the flower appears to be conversing with the green-chain boundary fence. Hah! It’s interesting that you are the second person to comment on the photo and mention a story. That’s interesting to me because until I saw these comments, I was calling it a “tension” in my head. Yes, when I thought about it for a minute, I thought of several directions that could go. Mostly good, although I do sometimes drive myself crazy when the good idea fairy hangs around too long! I also find a totally different final photo when I crop. I like what you came up with. Getting away from centering everything (interesting discussion as to why centering is the first thought…) can really open up possibilities. Adding more context is one. Yes, it is fascinating, the power of the crop. I know it is discussed a lot in journalistic photography because of its power to change the interpretation of the story. 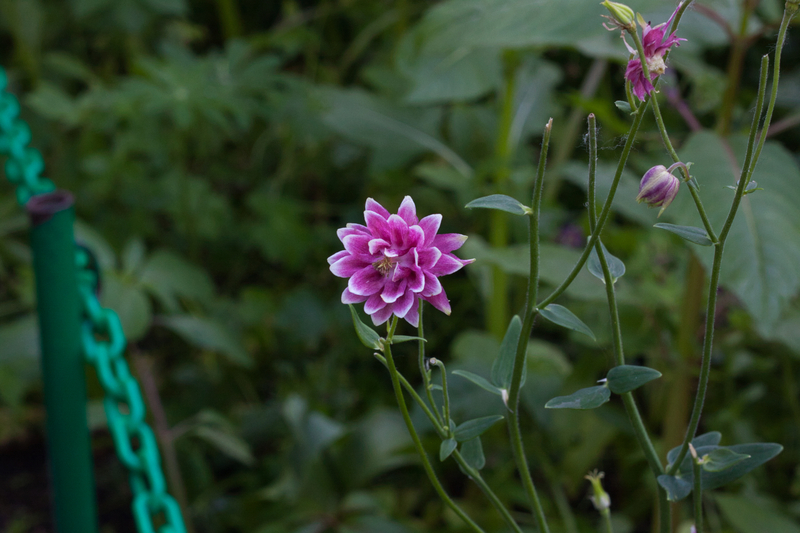 I like the presence of the fence beside the flower, particularly because the fence is a chain link one. The links symbolize connection for me. Thanks, it appealed to me as well.